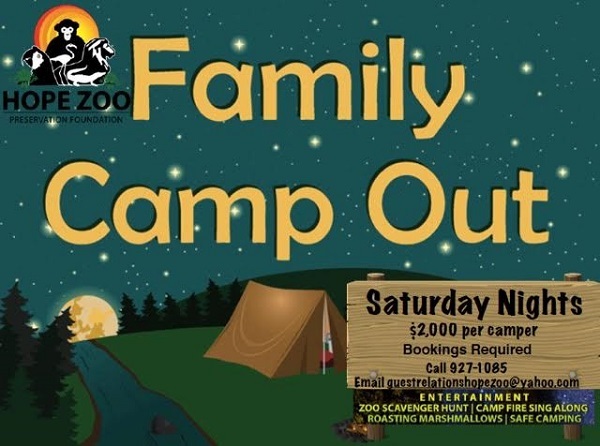 Come enjoy a Family Camp Out every Saturday at the Hope Zoo. Sleep out under the stars and hear the sounds of the animals all around. The nights are filled with fun activities, including a Zoo night walk, Arts and Crafts, Movie and to finish the night off, roast Marsh mellows by the fire. Come join us for a unforgettable night out!! If you need to rent a tent we have available, just call us at 927-1085!! !